Hey all, I know that Socket 939 is obselete now but I think It'd be awesome if they'd make a 939 65nm core.. 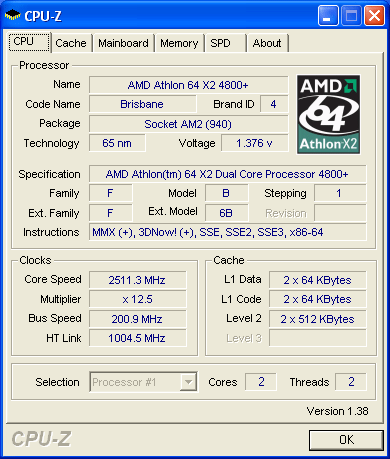 I still have my Opteron 144 at 3.1ghz on my Lanparty board and would love to see a core I could update to before the nextgen AMD achatecture makes it out. I don’t understand why anyone or any review expect stellar overclocking or performance from these 65nm’s? Did AMD promise any? No. AMD promised a transition to 65nm and on time. That’s what we all should expect and appreciate the successful transition. Do you remember the first batch of Intel's 65nm Core 2’s? It was not as good as what you see today. 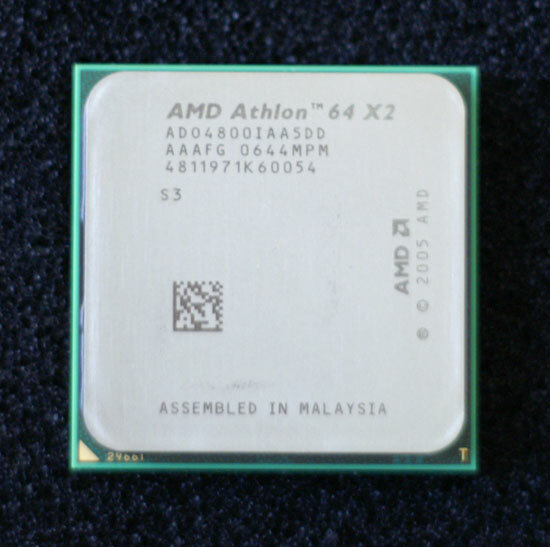 Frankly I think AMD did much better in 65nm than Intel back then, and this first release is giving Core 2 due's matured chip a run for the money. After all the review here clearly shows AMD is on tract w/ 65nm’s performance per watt and energy consumption. Don’t forget its still K8 architecture competing w/ the latest and the greatest of Intel's. Which first batches?? The ones XS has been receiving far before the official Core 2 Duo release?? What's the OC that AT got?? X6800 went from 2.93GHz to 3.6GHz with default voltage. On a very good air cooler and voltage increased, it reached 4.0GHz. 2.6GHz to 2.925GHz, on stock cooler, 1.475V.